I’ll keep this brief as not too much has happened on the news front. As far as links go, however, I must instruct everyone to check in on all the new reviews that have been added to The Matt Murdock Chronicles over the past week. Robert also has a couple of posts listing his favorite Daredevil covers, so head over there and voice you opinion! For something doubtlessly wacky, you should also check out this picture of an adorable (though disturbingly so) Daredevil My Little Pony which fellow fan Francesco pointed out to me yesterday. What will they think of next? I’ll see you all later in the week! 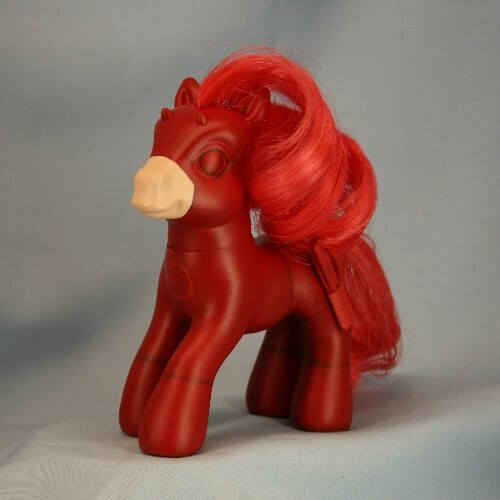 Daredevil My Little Pony? Oh. My. Gosh. That is pretty damn weird. And seemingly genuine too which is really scary. More importantly, how can one purchase such an item? Oh and thanks for the plug, Christine.